Axiom’s 17th Annual Golf Tournament a Success! 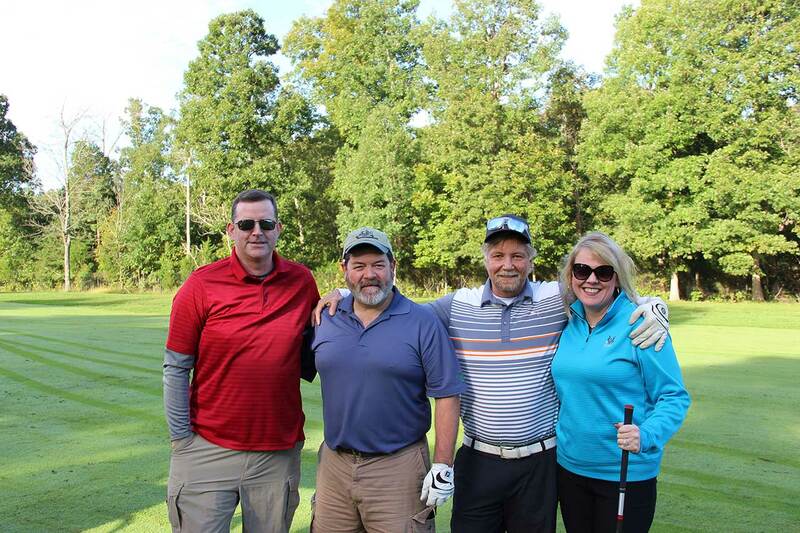 On Wednesday, October 17, 2018, under sunny blue skies, a group of 98 enthusiastic golfers hit the links at Westfields Golf Club for Axiom’s 17th Annual Golf Tournament. The tournament benefits the Fisher House Foundation, which provides “a home away from home” for families of patients receiving medical care at major military and VA medical centers. Fisher Houses offer military families the chance to lodge as close as possible to loved ones requiring hospitalization for wounds, illness, or serious injury. There are 76 Fisher Houses located on 24 military installations and 32 VA medical centers. Congratulations to this year’s winning team of Jeff Keen, Greg Johnson, Chris Bradford, and Ryan Decker. Great job on your outstanding play! Thank you to our sponsors, donors, and contributors. Their generous support makes the tournament possible. This year the tournament raised $38,460, bringing the cumulative total Axiom has contributed to the Fisher House Foundation to $468,460. Next year, our goal is to break the $500K mark! Axiom Resource Management, Inc., established in 1993, provides a full range of professional consulting services to business clients and more than 20 state and federal government agencies. Our roots are in healthcare program management�TRICARE, the health program for America's armed forces and their families�has relied upon Axiom to provide dynamic, responsive solutions to meet its needs since its inception. Axiom augmented our program management expertise in 2000 by acquiring Conwal, an award-winning firm with a long history of successful partnering with the U.S. Department of Health and Human Services, the Centers for Medicare and Medicaid Services, and the Department of Veterans Affairs, among other clients.